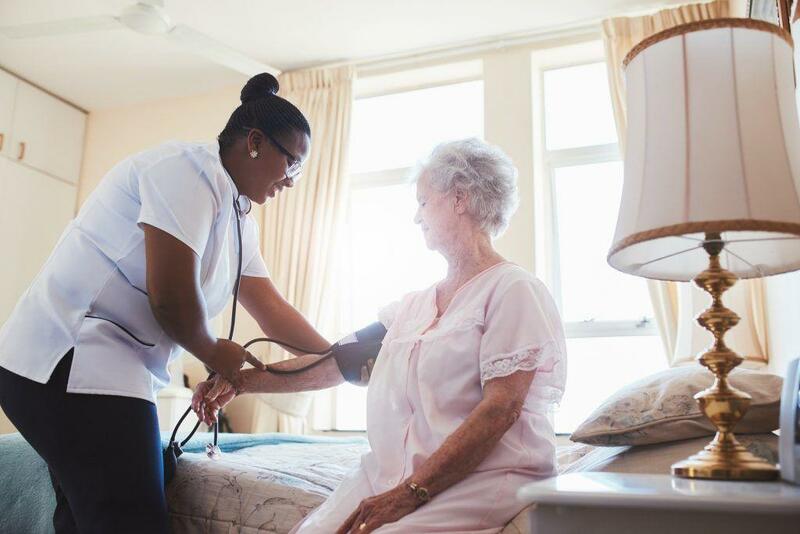 As long-term care providers experience unprecedented vacancies for health care workers, it’s a great time to become a Certified Nursing Assistant. The short-term training does not require the time and financial commitments of a college degree and places students in the fast-paced world of health in just 6 weeks. CNA training providers in New York State seek to produce capable professionals who can fill vacancies and have a positive impact on the quality of care of patients and residents in hospitals and long-term care facilities. CNAs form a vital part of the health care team as they help seniors and disabled persons maintain functionality and quality of life. They provide compassionate care, bathe, dress and transfer patients, assist residents with the activities of daily living, check vital signs, measure fluid intake and output, and set up medical equipment. The work is physically and emotionally demanding, leading many works to seek better positions in healthcare. With continued education, CNAs can go on to assume careers in medical assisting and nursing. In New York State, where employment rates are among the highest, a skilled nursing assistant can earn as much as $36,600 annually. Samaritan Keep Home facilitates a Certified Nursing Assistant Training Program to recruit new employees. The 10-week training requires a commitment of 30 hours per week. Graduates area eligible to take the NYS certification exam. Classes meet Monday through Thursday from 8:00 am to 3:30 pm for the first 6 weeks and from 7:30 am to 2:30 pm for the final 4 weeks. The entire program covers a total of 156 hours of clinical/laboratory experience and 66 hours of bedside clinical training. Units of study include infection control, human sexuality, personal care, nutrition and diet therapy, lifting, moving and transporting, elimination, circulatory and respiratory care, and life changes and adaptations. Applicants must be compassionate and caring and interested in working at one of Samaritan’s long-term care facilities. Candidates must have a high school diploma or GED, provide satisfactory references, be able to lift 50 lbs, pass a drug test and background check, and complete a physical screening. Candidates will also be required to complete a job shadow to experience the environment and responsibilities of a CNA before enrolling in the program. Students must maintain a GPA of 75 to remain in the program. Absenteeism will result in dismissal from the program. Tuition, books, and materials are provided for all accepted students. Students who complete the 6-week nursing assistant program at the Bohlen Technical Center are prepared for NYS certification as a Certified Nursing Assistant. The curriculum covers 216 hours of classroom work and clinical experience at a local nursing home. Areas of study include infection control, patient transfers, patients’ rights and independence, laws and ethics, anatomy and physiology, medical terminology, nutrition, feeding, communication, hospice care, and rehabilitation and restoration. Classes meet from 4:30 pm to 8:30 pm for theory and 8:00 am to 4:30 pm for the clinical experience. The duration of the program is 14 weeks. Candidates for the program must complete TABE testing and receive a minimum grade equivalent of 9.0 or above in Math and Reading. A physical exam must also be completed before the start of the program. Students must purchase uniforms, a watch with a second hand and shoes for the clinical experience. A 96% attendance rate is required for completing the program. Tuition costs $2,286 and includes the certification exam and textbook. The CNA training program at Syracuse Educational Opportunity Center prepares individuals for entry-level employment in a health care setting. Graduates are eligible to take the state competency exam to become a New York State Certified Nurse Aide. The intensive program runs for 10 weeks including 8 weeks in the classroom and 2 weeks at a local health care facility. The training covers anatomy and physiology, infection control, vital signs, communication and interpersonal relationships, nutrition, mental health concepts, rehabilitation and restorative techniques, safety and emergency, and hospice care. Applicants must submit a copy of their photo ID with New York address, income documentation, and high school diploma or GED or HSE diploma to the admissions office for review and processing. Upon conditional acceptance, students must also obtain a minimum reading score of 8.0 on the TABE entrance exam, attend a program orientation, and submit two professional references, proof of immunization and physical exam, and interview with the program counselor. A history of criminal convictions could affect persons’ eligibility for certification. Job placement assistance is available to all graduates.